The Dillinger Escape Plan are going out with a bang, completely crushing the first of their three final shows last night, Dec. 27, at New York City's Terminal 5. Faith No More singer Mike Patton even joined the band for a blistering five-song set to start things off—watch it all below! As we previously reported, the Dillinger Escape Plan had already announced that last year's Dissociation would be their final studio album. But the veteran rockers aren't done quite yet—they'll play two more final shows (tonight, Dec. 28, and tomorrow, Dec. 29) in their goodbye run at Terminal 5. The first of the final shows featured a broad set list from the band (see it below), and former guitarist Brian Benoit even joined in on a handful of tunes, as noted by Theprp.com. As mentioned, it all started with TDEP and Patton performing their collaborative EP, 2002's Irony Is A Dead Scene. The fun didn't stop there! 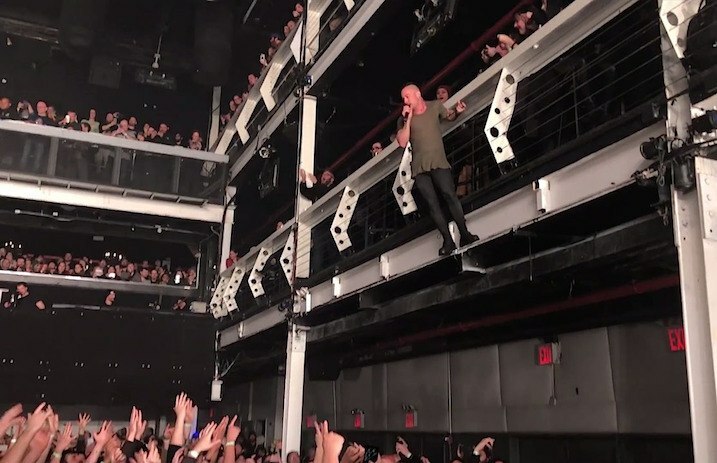 During the last song of the Dillinger Escape Plan's encore, “Sunshine The Werewolf,” vocalist Greg Puciato ascended the railing of Terminal 5's balcony to take an epic stage dive into the excited audience. 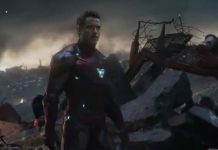 You've gotta see it to believe it—just watch the last video in the set.